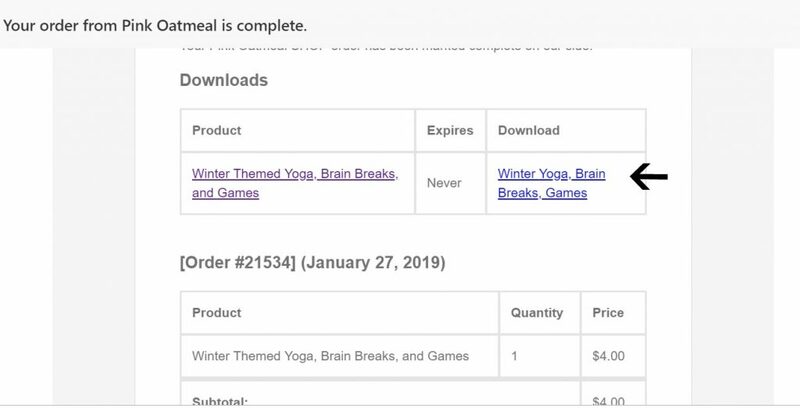 Thank you for your purchase from Pink Oatmeal. This page is designed to help you with any of your downloading or printing needs from Pink Oatmeal. There are several different ways to access your download. The first way to access your download is from the thank you page right after your purchase. Not to worry if you didn’t download it from there. Everyone who makes a purchase will also receive an email from Pink Oatmeal with your order details. You will be able to download your purchase(s) from this email as well. Be certain to check all of your inbox folder as well as spam mail in case in ends up in there. Click on the link under the word download to download your resource(s). Accessing your downloads from your account. If you signed up for an account with Pink Oatmeal you will be able to log in at any time and download your resources. Click on downloads from your account. Please note that if you signed up for an account AFTER your purchase you will not see it in downloads. 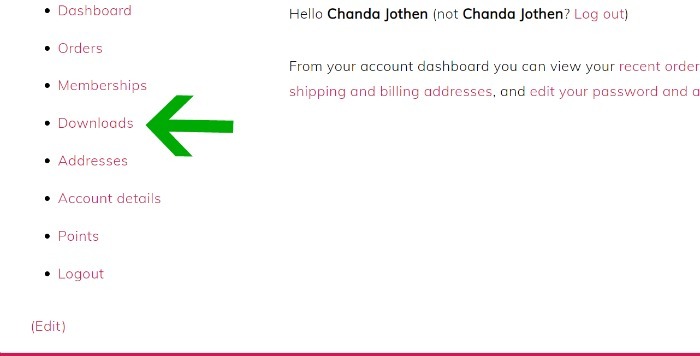 Please contact chanda@pinkoatmeal.com and your previous purchases can be connected to your newly created account as long as you are using the SAME email you used for your purchases. The file looks great on the screen but when I go to print the pictures or words don’t look right? There is a good chance that you just need to make sure that you update your PDF reader. I recommend Acrobat by Adobe – the free version for opening and printing PDF files. This is what I personally use.